With their THIRD OWNER THIS SEASON already missing debt payments, Parma have less than €40,000 in cash on hand. Antonio Cassano left the club in January since they haven’t paid players all season and the club’s vehicles (including the team bus) were repossessed from their training ground this week. So without the cash needed to pay stewards, their Serie A match against Udinese this weekend has been postponed. 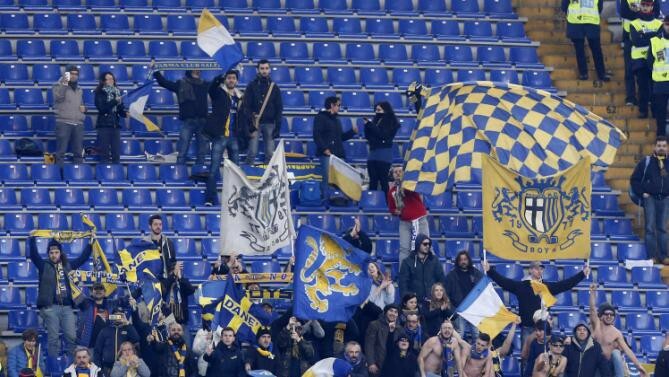 With cash levels at the Stadio Ennio Tardini reportedly dipping below €40,000 (£29,700) this week, Parma were unable to fund matchday stewards for Sunday’s game and therefore requested it be held behind closed doors. But players and coaches from both clubs have “expressed discomfort” over that proposition, leading the Italian football federation to order a postponement following a meeting held in Parma on Friday. The 101-year-old club are currently at the very bottom of the Serie A table with just 10 points from 23 matches. Though they have won the Coppa Italia three times and the UEFA Cup (now Europa League) twice in the last 25 years, Parma have been declared insolvent twice before (1968 and 2004), so financial problems have plagued their history. Hopefully they can buy their bus back soon.